The realization hit hard, like a punch to the gut. Almost as hard as the day I learned my son has Cystic Fibrosis, an incurable fatal illness. I’m nearly 39 years old, have always considered myself an ally to marginalized communities, and have loved all people of all varieties all my life. I’m aware of racism, sexism, and ableism - discrimination against people with disabilities. But what I wasn’t aware of, until today, is that I myself have been an ableist. Why am I calling myself an ableist? 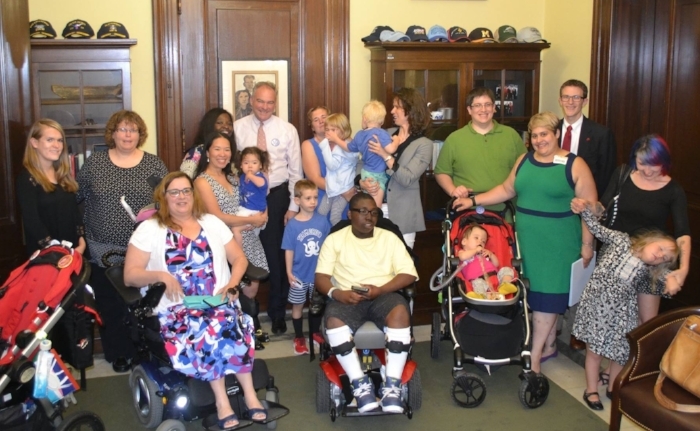 After all, I’m part of Little Lobbyists, a group of caregivers who advocate for kids with complex medical needs and disabilities, to ensure lawmakers understand our needs. Yes, I just said “our needs” and you’re probably wondering how I could be ableist? Good catch. During the conversation that followed about this sentence I indicated that, though my son is medically complex, I in no way identified him as disabled. I could tell the other moms, who do identify their children as having disabilities, were surprised by this. We’re all Facebook friends, so they have a view into my son’s medical needs. I suspect much of what they see is similar to their own experience, and so they assumed we also identified as part of the disability community. We had a positive and open exchange about why I didn’t think my son was disabled, they listened to my opinion and didn’t push me to identify differently. But since that day, I have found myself frequently revisiting that conversation and asking myself why don’t I identify my son as disabled? Is it because he has no cognitive disability? No visible physical disability? Because he doesn’t qualify for disability services under SSI? Could it be related to the first, and often repeated, thing the CF care team said to me when he was diagnosed – “your baby is a normal baby, who happens to have Cystic Fibrosis?” Is it because of the heavy stigma society puts on the word “disability?” Honestly, I think all of these things have played a role. My son Jack takes over 50 pills and 14 different medications per day. His respiratory therapy takes 2 or more hours every day. He spends a large portion of his life in the hospital. He’s not in school this week because he is not absorbing food, isn’t breathing as well as usual, and we have to implement new therapy techniques and train his school nurse to perform them. Cystic Fibrosis (CF) is invisible, progressive, and deadly. Until his lung function drops below 80%, I consider him healthy in comparison to other people with CF. However I know full well that every single day, every organ in his body sustains more damage. His medications help slow the disease but cannot stop it. A simple cold could end his life. Clearly Jack has a physical impairment that substantially limits one or more major life activities. My son is disabled. It is the first time in his nearly 8 years of life that I have said those words, accepted them, and fully understood what they mean. My son is disabled. Tears are dropping on my keyboard as I type this, tears from shame – not for my son, but for myself. For the first time I realize that I am an advocate for the medically complex and disabled community who could not see her own ableism. My job now is to be like Jack and embrace this part of him. I need to acknowledge my shame, and work to change the stigma against disability that was so deeply ingrained in me that I could identify my son as medically complex but feel offended by the word “disabled.” It is up to me to shed the ableism society has instilled in me from youth. Doing so will make me a better person, parent, and advocate. Being a member of Little Lobbyists has opened me to a world beyond Cystic Fibrosis. It has helped me focus on all forms of medical complexity and disability. Our advocacy isn’t about a specific disease, syndrome, or disability, because we really are stronger together. 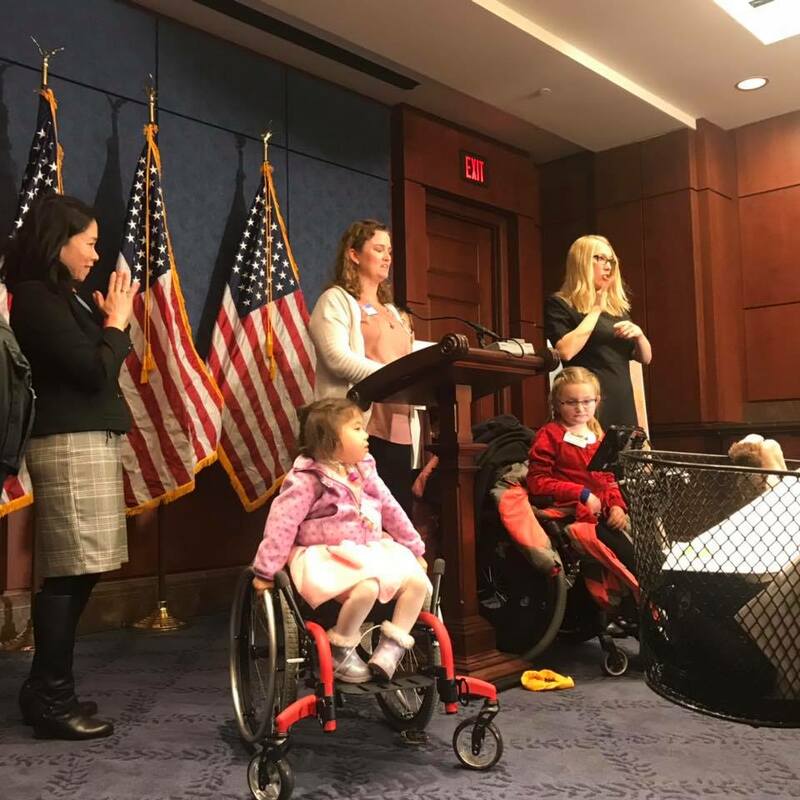 It’s about raising ALL of us up to create a voice loud enough to get Congress to pay attention to our children with complex medical needs and disabilities and consider them every single time they write a new policy or review a proposed law that impacts them. Thank God for my friends in Little Lobbyists who did not judge me as I walked this path of discovery, but gently educated me while embracing me and encouraging my advocacy. 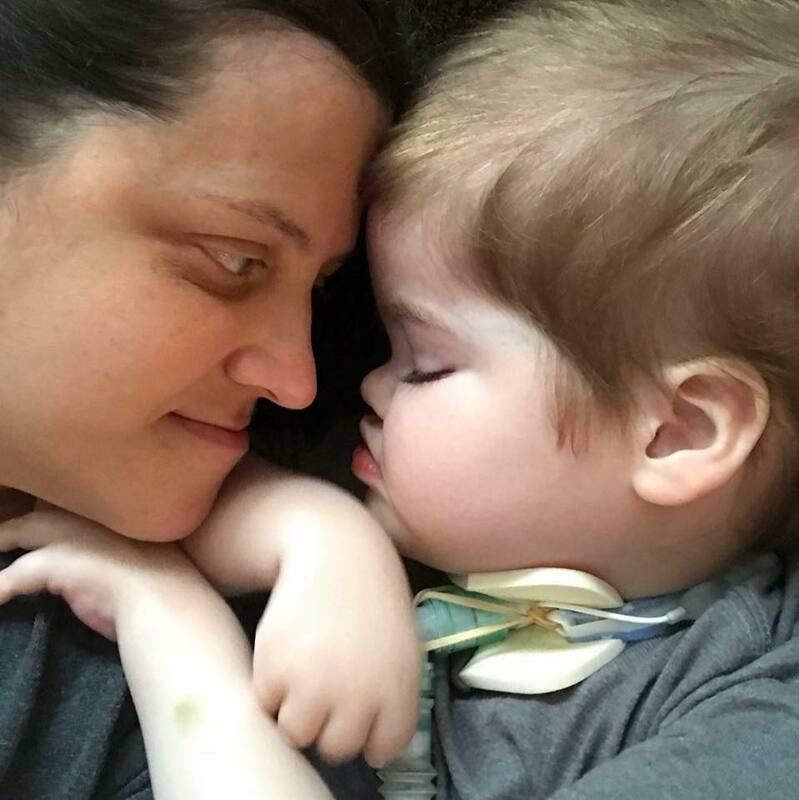 I have a feeling I’m not alone, and am writing this in part as an invitation to other parents who may, like me, be in denial about their child’s disability. It’s time to take a good look at why we fear this word. Ending society’s stigma against our children with disabilities must start in our own hearts. Little Lobbyist Jack in front of the U.S. Capitol. Little Lobbyists believe that health care is a human right. 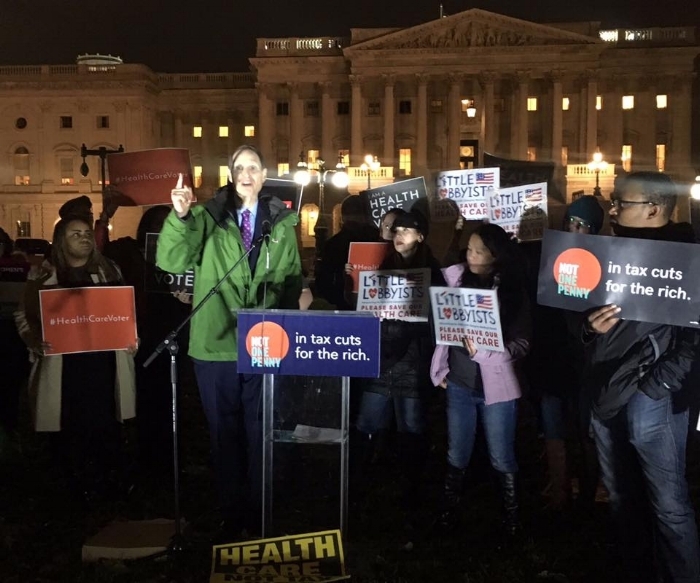 We also believe all health care policy in the United States, especially policies designed to create a system of universal health care, must include appropriate coverage for the health care of people with complex medical needs and protections for the civil rights of people with disabilities. By doing so, legislators can finally ensure that every American has access to health care. All must mean ALL. Below, please find a summary of the top three areas of concern for our community regarding the proposals for universal health care policies. In addition to traditional health care services, provision for Long Term Services and Supports (LTSS) MUST be included in any and all new health care policy in order to provide adequate support for, and protect the civil rights of, individuals with disabilities and complex medical needs. Priority must be placed on providing LTSS services in the community and NOT in an institutional setting; we must reverse the existing, systemic “institutional bias.” Home and Community-Based Services (HCBS) provide person-centered support for daily life activities and enable people with disabilities to remain in their homes and communities and engage in all aspects of everyday life - family, school, employment, and more. HCBS are more cost effective, provide better outcomes, and preserve the freedom, dignity, and civil rights of individuals needing care. Any system must recognize and support the central role family caregivers play in planning for and providing Long Term Services and Supports. For more information, please refer to the principles on including LTSS from the Consortium for Citizens with Disabilities. Sweeping changes to the way health care is delivered in our country will be disruptive. However, no change should disrupt the access to, or quality of, care for individuals with complex medical needs. Being able to continue seeing trusted specialists, access care centers, and obtain vital medications, equipment, supplies, therapies, private duty nursing and more, is a matter of life and death. In the current system, Medicaid coverage for individuals with complex medical needs and disabilities is inconsistent and highly variable from state-to-state, even from individual-to-individual within states. It is essential that this inequity be eliminated to provide relief for those not yet covered without compromising the coverage of those who currently have their needs fully met. We need to increase support for research and development of treatments and cures for illnesses and diseases from the very common to the exceedingly rare. The people who need these treatments and cures must also be able to afford them. People with complex medical needs use a wide variety of medications, some common, some less so. These diverse needs must be adequately considered when determining the list of prescription drugs comprising any formulary. Appropriate provisions should also exist for those needing medication not included in the formulary. For the majority of pharmaceuticals, when research and development is predominantly funded by public dollars, we believe Medicare/the Government must be able to negotiate with drug companies to secure reasonable prices and prevent the price gouging of medications, like insulin and epipens. The recommendations on making medicines affordable developed by the National Academies of Sciences, Engineering, and Medicine offer some valuable suggestions. For pharmaceuticals developed for rare/orphan disease, some of which are funded through “venture philanthropy” and other private sources (like medications for Cystic Fibrosis and targeted genetic medicines for cancers), a carefully considered approach must be developed to effectively support and incentivize innovation while controlling costs for this small, very diverse, rare patient population. Please note: at this time, Little Lobbyists is not endorsing any specific plan or policy. This document is meant to outline our concerns and provide guidance for discussion regarding proposals for all new universal health care legislation. Medical parents will know exactly where I’m going the second I say the following, “January is coming.” January is easily the hardest month for any medically complex family. In this month it does not matter if we have employer sponsored insurance, private insurance, Medicare or Medicaid—we all are all rendered equal in our work-load. Why is January so hard for us? There is an annual avalanche of work created for us and our medical providers office by our insurers. In my family of five there are two of us that are medically complex. I have a rare auto-immune disease called Behcet's as well as a rare blood clotting disorder. My 7-year-old son Jack has Cystic Fibrosis; a progressive and fatal disease that affects most of his major organs. To meet us, you would never know we fight illness. We both look and seem healthy. By contrast, when you see our medical claims, you would think we were on death's door. Every January I spend between ten and eighteen hours making calls to insurance companies, providers, pharmacies, and facilities. This work happens whether we have an insurance change or not. Where do we start? We first check our plan benefits and formulary (list of covered medications) to see if there have been any changes. If our plan has changed pharmacy contracts, we must call and set ourselves up with our new local, mail order, and specialty pharmacy, then if there are formulary changes and insurance is dictating an alternate similar medication, I call the doctor's office to request a new prescription as well as all the other prescriptions be sent to the new pharmacies. While we are on the phone for that we are requesting new prior authorizations for all our expensive medications. Most of our medications require a prior authorization so that insurance will cover them. Prior authorizations can take anywhere from 24 hours to ten days to complete depending on whether appeals are needed or not. If appeals are needed, then my work increases and I spend hours proving that my child’s medications are medically necessary. The irony of that is the person making the determination is rarely clinically licensed. Next, we move to calling each of our medical provider’s offices. Between my son and I, that is 11 different facilities I contact. Many families with medical complexities rely on grants and co-pay assistance programs which must be re-applied for annually and often provide new identifiers and cards. As soon as we are approved for those items, we make all the calls again. Many of us incur a little extra work if we elected different insurance during Annual Enrollment, as I did this year. I filled our medications on 12/28/18 with my previous insurance and will fill them again with the new insurance on the first day it is effective 1/7/19. This is because we always need to have a 60-day supply on-hand in the event that we go through a lengthy appeals process, there is a natural disaster, or shipping is impacted. At all times, I must think ahead with every decision we make because without his medication, my son will die. I cannot hope to have enough. It must be here, ready and on-hand. This year my family’s insurance has changed, which means I’ll spend closer to 18 hours getting everything updated, ordered, approved, and shipped. The other thing I must be weary of is the dreaded gap. My old plan ends on 12/31/18, the new one begins 1/6/19. This creates a five-day gap where if a claim is submitted for medical care or medications I pay toward my deductible and out-of-pocket on the old plan which will not be attributed to the new plan. If we need medical care in those five days, we are increasing our annual out of pocket over the maximum. January is full of research, phone calls, planning and care coordination. It is a complex mosaic that sets us up for relative success for the remainder of the plan year. On the other side, our medical providers are working just as hard to update our information and provide the items we need. If you happen to be a person that does not have the same January stress as the medically complex you may instead be a person that notices your doctor’s office running a little differently. The phone queue may be longer, you may have a longer wait for your appointment or a return call. Every piece of work we, as patients, are met with, the doctor's office meets in-kind. Aiden with his Dad and Brother visiting the Capitol. My name is Aidan Abbott, I’m 13 years old, live in Slinger, WI, love to play basketball and my favorite team is the Milwaukee Bucks. I also have a rare disease called Ectodermal Dysplasias. People born with Ectodermal Dysplasias have severe oral and dental issues due to missing teeth. They also have sensitive skin, don’t sweat, and other health issues. I was blessed to be born with some of my teeth; however, others who have Ectodermal Dysplasias are born with only two teeth and some are born with no teeth. Most families, like mine, have to fight for insurance coverage to cover our complex dental issues and insurance will constantly deny treatments. I think this is wrong. Kids need teeth to speak, eat, and chew, and it helps to have teeth so kids don't bully you. Over the past few years, I have been going to Capitol Hill to advocate for medical insurance coverage for the repair of congenital anomalies, including dental treatments that are medically necessary. Each time I travel to Washington, D.C., I visit all of my legislators, and share my story. During one of my first visits to Capitol Hill, Senator Tammy Baldwin from Wisconsin not only listened to my story, she took action and worked on the Ensuring Lasting Smiles Act (ELSA). This legislation will ensure that medical insurance cover repairs and treatments of congenital anomalies for kids and adults like me. I even had the privilege of naming the Bill the Ensuring Lasting Smiles Act (ELSA). 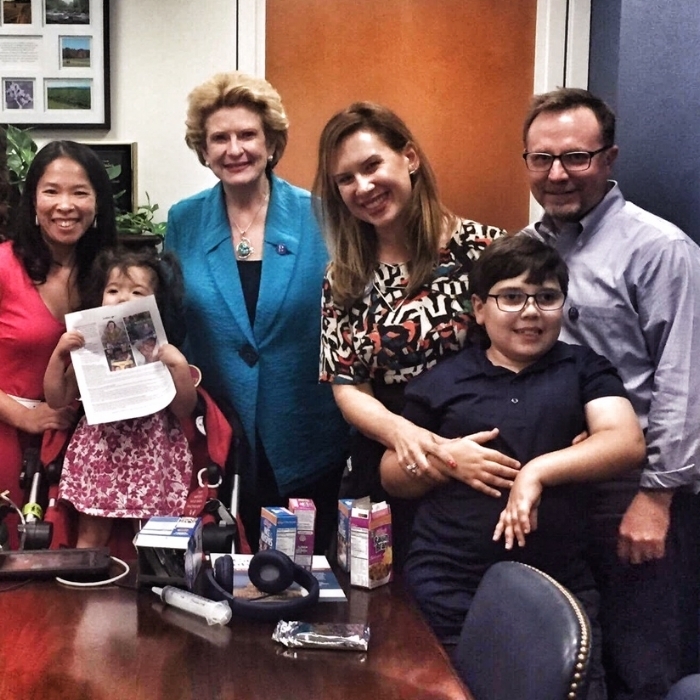 Aiden and his family and Allison and her family with Senator Tammy Baldwin. My friend Allison, who also has Ectodermal Dysplasias went to Capitol Hill with me and shared her story with her legislators. Ally was able to garner support from Iowa Senator Joni Ernst, who agreed to co-sponsor ELSA, when it was introduced by Wisconsin Senator Tammy Baldwin. The Ensuring Lasting Smiles Act was introduced in August 2018 and has bipartisan support in The House and The Senate. It is important for kids and youth to share their stories and advocate on Capitol Hill. Legislators need to hear our stories and understand the struggles we go through and the insurance coverage issues our families face. If our legislators don't know about our insurance issues, they will not be able to help us. 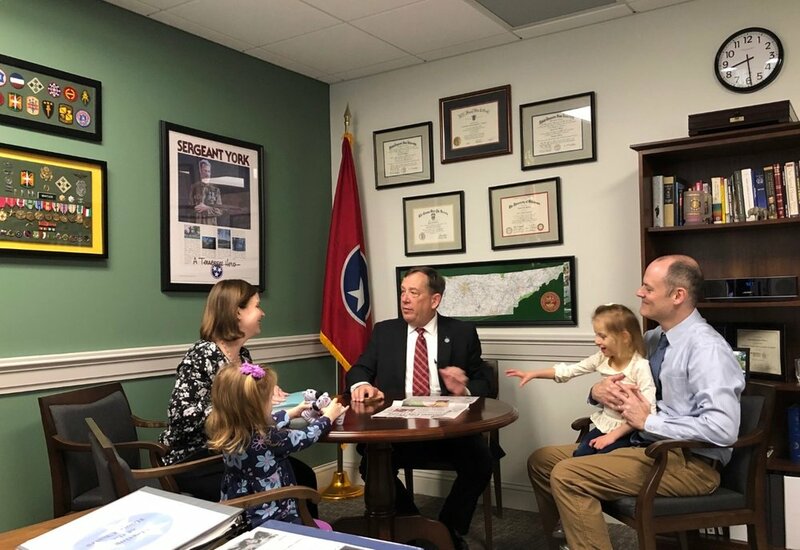 I have made it my mission to work with Senator Baldwin's office and my other legislators to make sure that everyone born with congenital anomalies get the coverage and treatments they need. 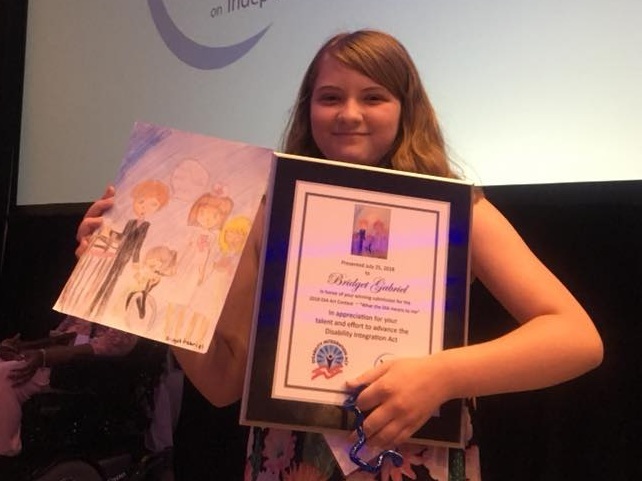 My family, along with the other National Foundation for Ectodermal Dysplasias families continue to contact their legislators and ask them to support our cause. If we all raise our voices together, we can help bring change to kids and families who desperately need medically necessary care and treatments. If you’re over 18, make sure you vote for candidates who will protect our care in the upcoming midterm elections. And, no matter what age you are, you can start talking to your legislators at home and in D.C. about the issues your family faces. I look forward to seeing you all on Capitol Hill in the future! In recent days there have been many troubling allegations regarding Judge Kavanaugh’s past. However, even before these allegations came to light, there were known facts about the Judge’s past rulings and legal opinions that make him a threat to children with disabilities and complex medical needs’ future health care, education, and civil rights. Once appointed, the next Supreme Court Justices’ rulings will have a long and lasting impact on our children’s future, and no amount of calls to our legislators will influence his decisions. As advocates and as parents it is critical we take a stand now and tell the Senate not to appoint a judge to the highest court in our country who is a threat to our children’s future. Our children deserve a Justice who will defend them (almost) as well as we do. That Justice is not Judge Kavanaugh. Here are three reasons Little Lobbyists opposes the appointment of Judge Kavanaugh to the United States Supreme Court. We ask you to read and share with your fellow special needs parents, your friends, family, and most importantly with your Senators. 1. Kavanaugh is a threat to our children’s health care. Judge Kavanaugh has said he thinks the supreme court should not have upheld the Affordable Care Act, which protects people with pre-existing conditions against being denied health care, being charged more for health care, or for anyone having a cap on their lifetime coverage for health care. Judge Kavanaugh has stated that he feels it is okay for the President not to uphold or defend a law he disagrees with, like the Affordable Care Act. There are already cases challenging the Affordable Care Act making their way to the supreme court. If appointed, Judge Kavanaugh would likely have a deciding vote in taking away the vital protections our children’s ability to access health insurance relies on. 2. Kavanaugh is a threat to our children’s education. Judge Kavanaugh supports school voucher programs which routinely force students with disabilities to waive their rights under the Individuals with Disabilities Education Act (IDEA) to a free and appropriate education. Voucher programs divert funds away from already underfunded public schools which are required to recognize the rights of children with disabilities and complex medical needs. 3. Kavanaugh is a threat to our children’s civil rights. Judge Kavanaugh ruled that people with intellectual disabilities do not need to be consulted, or have their wishes considered, before elective surgeries are performed on them (including abortions). In employment discrimination cases, he has consistently ignored/discounted the evidence provided by people with disabilities in favor of explanations provided by the employers. His overall interpretation of antidiscrimination laws, including the Americans with Disabilities Act (ADA), and the role of administrative agencies in charge of enforcing those laws limits their ability to protect people against discrimination. To contact your Senators we recommend you call the Senate switchboard directly: 202-224-3121. You can also use this email tool from our friends at The Arc USA. Best Friend on Wheels shaped me because it taught me that it is okay to have a sister with a major disability. Before I read this book, I thought it was not okay to have a sister with a disability. Although I am ashamed to admit it now, I was embarrassed by my older sister Claire who has a microduplication of chromosome two, uses a wheelchair, is autistic, and has many other medical issues. You may ask how did this book teach me that it was okay to have Claire as my sister? Best Friend on Wheels taught me this because it is a book about a girl with a similar disability. At the beginning of the book Sarah, a girl with a disability, rolls into the classroom and a girl stares at her wheelchair but does not look at Sarah. At first, she looks away, embarrassed that she might say something wrong and hurt Sarah’s feelings. This is like when I was younger and I always stared at Claire’s wheelchair and thought that she would not be able to play with me. Now I am ten and I think of Claire’s wheelchair as a neat accessory like a piece of jewelry rather than as something that makes her different. A lot of people stare at Claire when we walk to a toy store in our neighborhood and think that she cannot communicate what she wants. This reminds me of a part of Best Friend on Wheels when Sarah and her friend go to get ice cream and the lady at the counter asks Sarah’s friend what would she like thinking that because Sarah has a disability she cannot talk. Although my sister cannot talk, she can point and let us know which toy she wants that way, but people do not always give her the chance to do so. Best Friend on Wheels showed me that people underestimate kids with disabilities all the time, not just my sister, and that I had to speak up for my sister so that people would realize what she is capable of. I’ve continued to do this by going to Capitol Hill and rallies to speak up for kids with disabilities and will do so for the rest of my life. When the girl in Best Friend on Wheels becomes friends with Sarah, it is not because she feels bad for her for being in a wheelchair, but because of her pins showing that she is a “ROCKHOUND.” This may seem unimportant, but it is very important because it shows that people with disabilities can like the same things as people who do not have disabilities. The girl in the book did not notice Sarah’s pins at first because she was too busy staring at Sarah's wheelchair. When she does look beyond Sarah’s wheelchair she realizes they both collect rocks and have a lot of other things in common too. This showed me that people with and without disabilities can have a lot in common if they just take the time to talk to each other, even if what they have in common is just watching movies or reading books. Best Friend on Wheels taught me that it is okay to have a sister with a major disability because it showed me that a person with a disability can do everything people without disabilities can do too. Just like the two friends in the book, I have learned that I can do everything with my sister Claire that my friends can do with their siblings. We enjoy going to amusement parks, eating ice cream together, swimming, and playing games. Thanks to Best Friend on Wheels I stopped being embarrassed that my sister had disabilities and realized how much fun I could have with her. Now she is one my best friends. I am so glad I am not missing out on having so much fun with her just because of her wheelchair. Click here for a link to where you can purchase the book, Best Friend on Wheels by Debra Shirley. This Sunday, I’ll be celebrating Father’s Day as a dad for the eighth time. My first one was pretty easy albeit uneventful, “uneventful” later becoming an eternal goal in our lives. My daughter Penny was born in the spring of 2011, and for the first three months of her life, she exhibited all the signs of a healthy baby girl. That’s when she started doing this thing with her arm. That’s what we called it, an odd, repetitive motion. We brought her to her pediatrician, explaining that she kept doing “this thing.” He observed her, and within a minute, Penny did it again. He instantly instructed us to take her to the emergency room at Cornell Medical Center, explaining that she was having partial seizures. Within 48 hours I no longer had a healthy baby girl. I had a daughter with Aicardi Syndrome; a severe developmental disability that only impacts girls. It includes epilepsy, intellectual disability (severe in Penny’s case), physical disabilities (also severe with Penny), and communicative difficulties. Penny cannot talk or willfully communicate aside from a whine when she’s unhappy, a squeal when she’s happy, and occasionally tapping the table when she wants an object. It’s still remarkable to reflect on how the life that I had envisioned for myself and for Penny had been obliterated and replaced with a different one, one far scarier and more uncertain, in the space of a couple of days. Even scarier was how isolating it felt to have a daughter with an illness so rare you could potentially go years without meeting another person affected. My first big break was finding a support group for parents of Aicardi children online. The feeling of belonging and support got me through those first months. It wasn’t only people helping each other and it wasn’t just the moral support, both of which were huge. It was the pictures I saw and stories I read about families having fun with their daughters – the girls getting to enjoy beautiful experiences in their communities, out in nature, on road trips, and in school. I read dispatches from normal life, people simply talking about “normal” stuff, like going to the movies and out to dinner. Something that was rare in the group (though certainly not absent) were posts by dads. I don’t know exactly why dads are less likely to participate in such groups – if it’s simply not one’s thing, great – but I’ve spoken to some dads who claim they don’t feel it’s meant for them. They feel intimidated by how overwhelmingly female such groups sometimes are, or are embarrassed. It is not, however, because they are less interested. I have come to know some of the most spectacular special needs dads that I could ever meet. I’ve known dads to build entire rooms to accommodate their kids, convert a van themselves, carry a 60-pound daughter miles through the hilly woods because she loves it, change jobs and move the family cross country for better services for their children, and create enough adaptable devices (and Halloween costumes!) to earn an engineering degree. There’s been a lot written about how special needs dads can be overlooked or are more likely to be silent about their child, so I want to dedicate this Father’s Day to all the special needs dads who are pouring their heart into their kids. I don’t know if I would have even thought to do all I do with my kids without your inspiration. I thank you for that. And thank you from the entire special needs community for doing more than most people even know is possible. 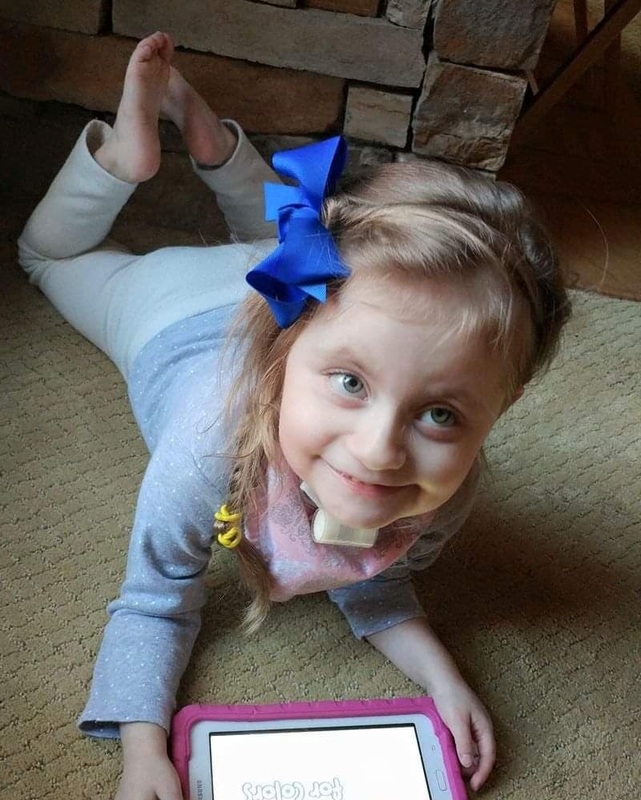 Parents and family members of children with complex medical needs from across the country have sent us their stories. Stories of faith and hope, anger and tragedy. Stories that are written by parents in between daytime therapies and appointments, and those magic quiet hours between midnight tube feeds and 2am vent alarms. These stories that we have taken to Congressional offices can’t be boiled down to a representative few. Each and every child and family is different with different diagnoses and experiences but I felt it necessary to compile a few key quotes from these stories to illustrate what Medicaid is and what it means to these families. Medicaid is one of the most frequented topics in the stories submitted to us. 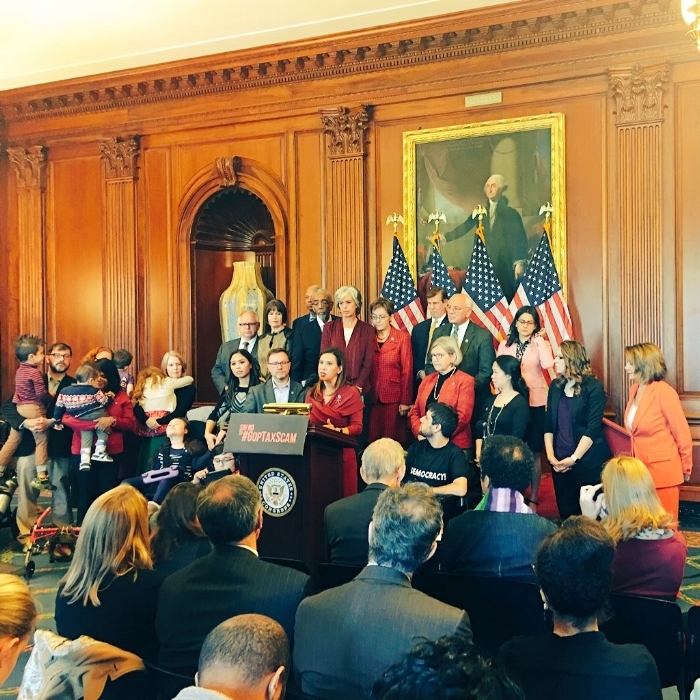 Parents have communicated to their Members of Congress through us the vital role that Medicaid plays in their lives and in the lives of their children. All of these parents have given permission to share their story here and I hope you will take some time to listen to them. Listen to their stories. See the worth in their children that they as parents see. And then call your members of Congress and tell them how vital Medicaid is to the families that need it. Thank you to all of these parents and many more who submitted their stories to us to take to their Members of Congress. You all have helped us put a face on the need for a strong, robust Medicaid program in every state. To share your family's story with us, please visit our storytelling form by clicking here.